Thanksgiving is usually all about the turkey and pumpkin pie, but it's good to also give some thought to what kind of Thanksgiving drinks you plan to serve. Get in the spirit and mix up some festival fall time cocktails that will impress your friends or at least help you survive a long day with the family. One of the first flavors that comes to mind at Thanksgiving is pumpkin. It's not a traditional ingredient for a cocktail, but it's possible to make one that tastes just like grandma's pumpkin pie. 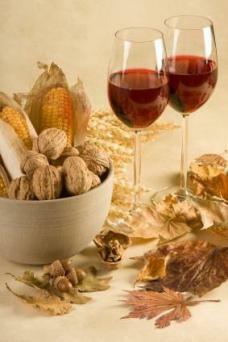 It's not easy to find pumpkin schnapps or liqueur, so the secret is to use pumpkin pie spice or puréed pumpkin mix. Either one makes an excellent dessert drink. Combine a shot each of kahlua, Bailey's, and vodka with 1/2 teaspoon spice mixture. Shake well with ice to combine. Place the pumpkin purée, a scoop of vanilla ice cream, and a shot of vodka into a blender. 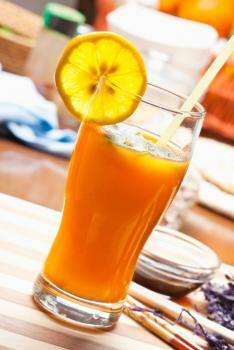 Blend on high for 30 seconds and pour into a frosted glass. Add cinnamon sticks to embellish the drink. Hot spiced cider is a classic autumn treat. Make up a full batch to serve a crowd before or after the main meal. Pour the cider into a large soup pot. Place a large square of cheesecloth on the counter and place the cloves, cinnamon sticks, allspice and lemon zest into the center. Tie the edges of the cheesecloth together in a knot around the spices. Place the spices into the cider and add the rum. Set the stove to simmer - do not bring it to a boil - and simmer until the cider is heated through. Serve with a cinnamon stick in each cup. You can't have turkey and dressing without the cranberry sauce. Cranberry also makes a tasty, tart flavoring for a cocktail. Serve these along with the turkey at dinner. Add some ice to each glass. 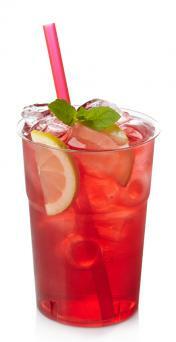 Pour a shot of vodka over the ice and fill the rest of the way with cranberry juice. Serve these shooters alongside the apple pie for dessert. Even people that don't typically like pie will enjoy the flavor of this shot. Pour apple cider and apple brandy into a shot glass. Top with whipped cream and a little grated cinnamon. Pomegranates are in season around Thanksgiving, and they make a wonderful addition to any dinner. Serve these with the appetizers to get people in the mood for the main course. 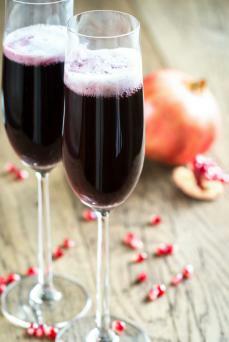 Combine the wine, pomegranate, and lime juices. Garnish with slices of fresh lime, if desired. This refreshing cocktail pairs beautifully with the stuffing, and is safe for the kids to have, too. Serve it during the main course for those that want to keep their drinking to a minimum. Place sage leaves, simple syrup, lemons, and salt in a pitcher. Muddle or press them together well to release the flavor from the lemons and sage. Add club soda right before serving. Mix up cocktails in advance so that assembly is easy; simply pour and serve. Designate a friend or relative to be the cocktail maker for the evening. Set up a "do it yourself" bar area on your counter. Invite your guests to blend up their own cocktails. Give them a few options of Thanksgiving drinks by printing small recipe cards and placing them nearby. Serve drinks in colorful glassware to make them look extra festive. Keep your cocktail menu simple by deciding on one special cocktail and a few types of wine or beer. Serve the cocktail before dinner or as a dessert drink. When deciding on which Thanksgiving drinks you plan to serve, think about your menu and what would pair best with the flavors of the food. 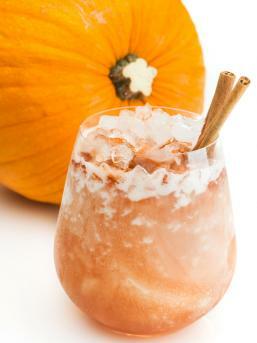 Apple, pumpkin, and cranberry are all seasonally appropriate flavors that translate well into delicious cocktails. Don't get overwhelmed by serving drinks that are too fancy; after all, the point is to enjoy the holiday with people that you love.